Where to stay around Plitvice Lakes National Park - Entrance 2? Our 2019 property listings offer a large selection of 230 vacation rentals near Plitvice Lakes National Park - Entrance 2. From 45 Houses to 146 Condos/Apartments, find the best place to stay with your family and friends to discover the Plitvice Lakes National Park - Entrance 2 area. Can I rent Houses near Plitvice Lakes National Park - Entrance 2? Can I find a vacation rental with pool near Plitvice Lakes National Park - Entrance 2? Yes, you can select your preferred vacation rental with pool among our 63 rentals with pool available near Plitvice Lakes National Park - Entrance 2. Please use our search bar to access the selection of vacation rentals available. 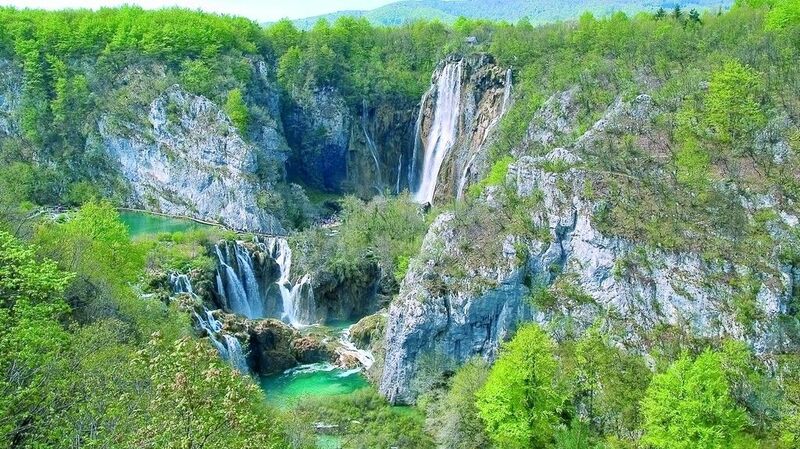 Can I book a vacation rental directly online or instantly near Plitvice Lakes National Park - Entrance 2? Yes, HomeAway offers a selection of 230 vacation rentals to book directly online and 86 with instant booking available near Plitvice Lakes National Park - Entrance 2. Don't wait, have a look at our vacation rentals via our search bar and be ready for your next trip near Plitvice Lakes National Park - Entrance 2!